Address: Shëtitorja Lasgush Poradeci, Hyrja e Parkut tek Diga e Liqenit Artificial, Tirana 1019, Albania. For the map, click here. Address: Rruga Don Bosko, Tiranë 1000, Albania. For the map, click here. Address: Rruga Adem Jashari, Laknas, Albania. For the map, click here. 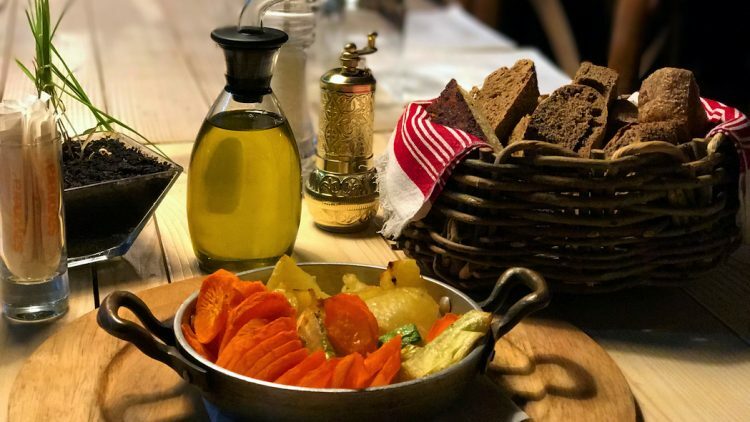 Outside of Tirana, in the small village of Surrel in the Dajti Mountain, this restaurant serves food cooked by the very hands of Queen Elizabeth II’s former chef, except that here the food is traditionally Albanian! Surrounded by turkeys and goats running around the beautiful hills of the village, this restaurant serves dishes not only in a traditional way, but in an antique way! Meat comes out in old iron skillets, raki in vintage vases, and everything smells of cherry pine. The fresh air and the warm atmosphere are worthy of a very long lunch or supper. Some of the best dishes are flija e veriut (the northern pie prepared with delicious meat broth), pickled tomatoes, raw pumpkin salad, petka me hithra (homemade Albanian pasta), as well as fresh, homemade cheese. Not enough can be said about this unlikely haven right next to the capital. Address: Rr.Nacionale Dajt, Surrel, 221, Tirane 1040, Albania. For the map, click here. 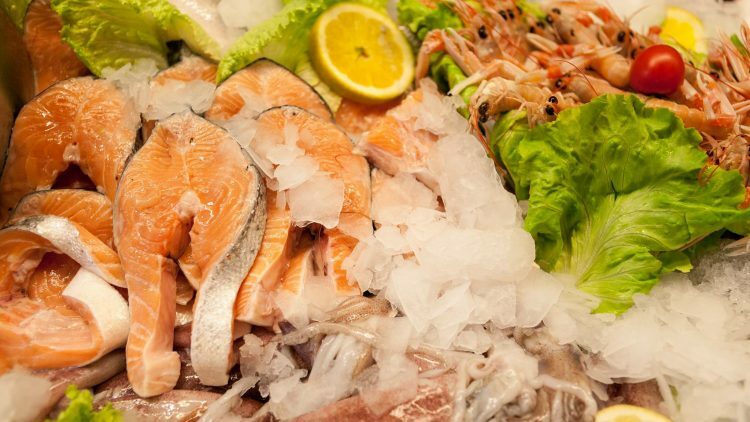 The capital is well-known for a great number of restaurants dedicated to using fish or other sea products as the main ingredients for their delicious plates. The international experience of nearly all Albanian restaurant chefs accompanied by increasingly modern environments makes Tirana a place rich with a wide variety of fine dining which is also affordable. A thoroughly contemporary setting and a menu which includes mostly everything a fish-enthusiast would want to taste have made Fishop one of the capital’s landmarks regarding seafood. Address: Rr. Qemal Guranjaku, Tirana, Albania. For the map, click here. As implied by the name, the seafood menu here is tastefully prepared and elegantly served. Admirers of beauty as much as taste, the restaurant’s plates resemble small works of art. Address: Rr. Reshit Collaku, 3, Tirana, Albania. For the map, click here. Even though its menu offers many other delicious options, this restaurant has to be singled out for the top-notch seafood selections. Its location next to the Twin Towers at the very center of Tirana makes it one of the city’s hottest spots. Address: Rr. Donika Kastrioti, Tiranë, Albania. For the map, click here. setting over the city. For equally delicious sushi and Japanese atmosphere, you may visit Yamato in the Blloku area, as well. Address: Shëtitorja Murat Toptani, Tiranë, Albania. For the map, click here. The new place in town, Estia is enjoying praise high and low for its beautifully remodeled villa setting and the delicious Mediterranean food. This is one of the most intimate places in town with one of the most renowned chefs in the country. Expect creative and fresh meat and seafood dishes that are always changing. Address: Rr. Pjeter Budi 25/1, Tiranë, Albania. For the map, click here. The current luxurious spot in town, Umami is the most modern restaurant in Tirana. Service and recommendations are top notch, wine selection impeccable. This may be fulfill another one of those Master Chef fantasies you have been keeping in your drawer, as we say in Albania. Address: Rr. Ismail Qemali 12, Sauk 1, Albania. For the map, click here. Of all the restaurants in this list, this one may be perhaps the best kept secret in town. 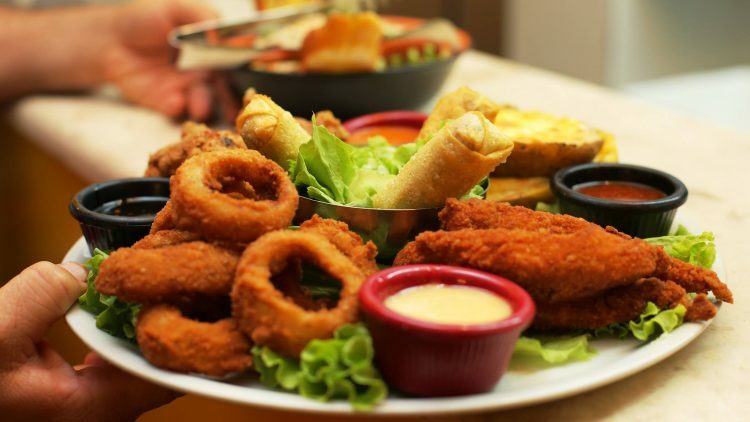 The one in the know, know of the delicious dishes served here, from pizzas to fresh grilled meats and sumptuous desserts. Under the guise of tradition, this place is truly experimental. A big surprise with this one is that they serve the best tempura shrimp taco (as well as one with snails) you may get in the entire country. Enjoy the romantically lit veranda in a place that is suited to couples, families, and groups of friends alike. It is, indeed, everybody’s home. Address: Rr. Margarita Tutulani, Vila 2, Tirana 1001, Albania. For the map, click here. A hidden gem, this restaurant in Blloku is slightly off the main bustle, offering an intimate space to enjoy a combination of French and Middle Eastern cuisine. The best meat cuts and shrimp tabouli salad in the city! The wines are delicious and, with the staff’s expert recommendations, you will have the tastiest and healthiest meal for a very reasonable price. Address: Rr. Sami Frashëri, Tirana, Albania. For the map, click here. For pizza that will make you think you are in the best restaurant in Rome, you need to go to this place. Undoubtedly the best pizza in town, and the variety offered is astounding. You will find what you love. A cozy yet buzzing atmosphere as well as a beautiful veranda surrounded by the city’s public soccer fields. Address: Rr. Emin Duraku, Tirana, Albania. For the map, click here. Located in the heart of the city, the promenade near the boulevard, this place is the go-to choice for Chinese and Thai food lovers. It boasts many of the traditional Chinese dishes such as Sweet and Sour chicken or Egg Drop Soup but among the best in its menu is the Thai dish Pad Thai. Delicious! Address: Rr. Dervish Hima, Tirana, Albania. For the map, click here. Located slightly off city center, this giant Mexican restaurant is a few steps away from the National Lake Park of Tirana. The gardens take you to Mexico as soon as you enter this villa setting. The menu offers traditional Mexican dishes with a slight Albanian touch. Fresh and delicious! Their sister restaurant, Serendipity’s Spaghetti Western boasts a similar but is located inside Blloku. It offers one of the best and less known locally brewed beers, Puka, on tap. Take your pick! Address: Rr.Skender Luarasi 30, Tiranë 1001, Albania. For the map, click here.